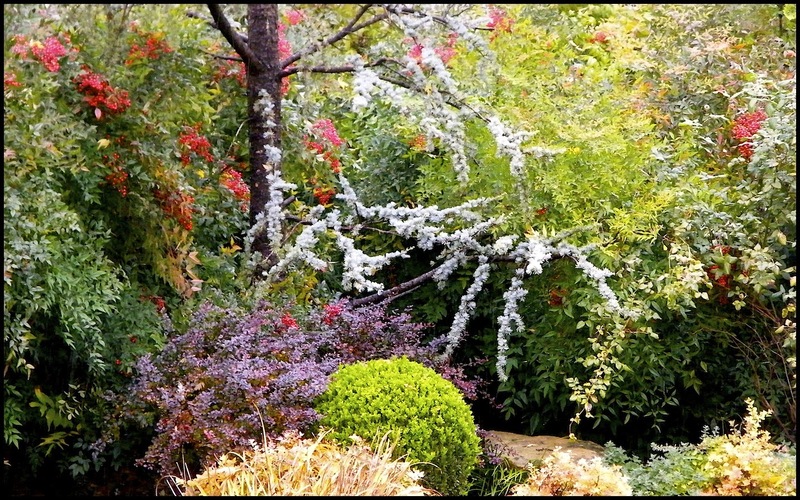 Chances are, if you are an Oklahoman and have a yard, you have nandina growing in it. I have shouted their praises many a time as they are so easy care and lend such brightness and utility to the landscape and the vase. In fact, they are so common it is easy to overlook just HOW useful and festive they can be. 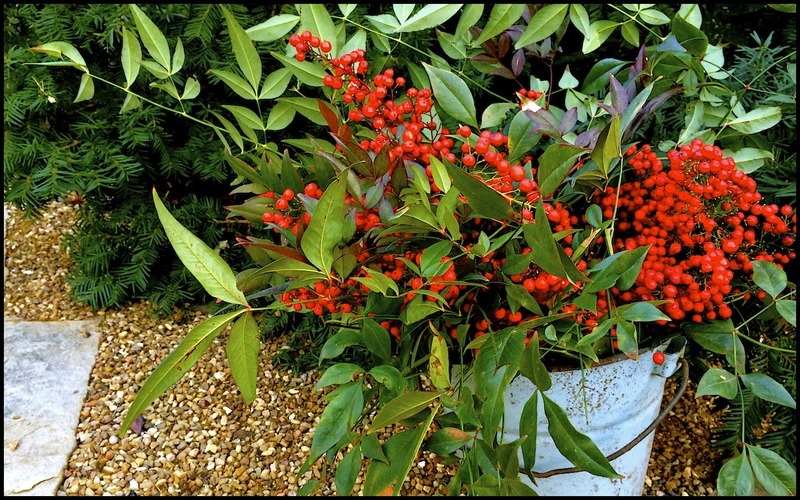 Last year at about this same time, LC and I did a nandina berry wreath segment on FOUR YOUR GARDEN. To watch that specific segment go here. In fact, I wrote an article about a heart shaped version for the February issue of SOUTHERN LIVING. (To make an X's and O's version of this Valentine wreath go to SL's FB page here). As I get older, I find I give more time and attention to the smaller holidays of the year (i.e. Valentine's Day) and less attention to the grander ones (like Christmas). 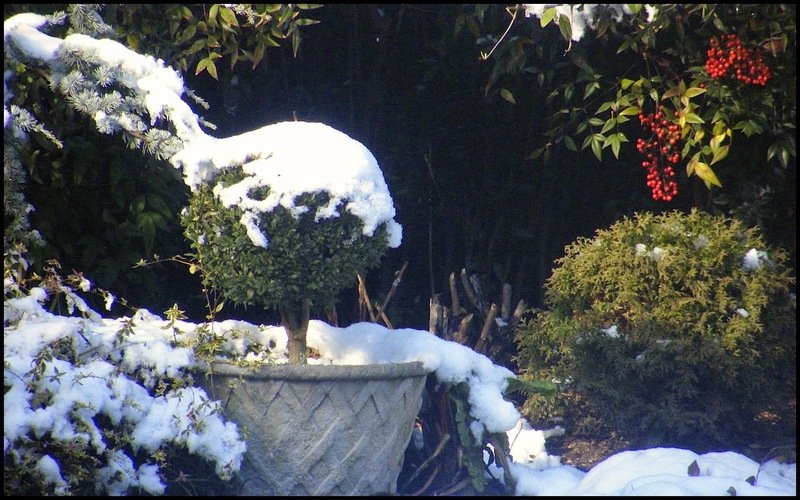 And Valentine's Day is, I think, the last reason for wintery garden prunings and pluckings from the landscape before the desire for the freshness of spring's givings take over. 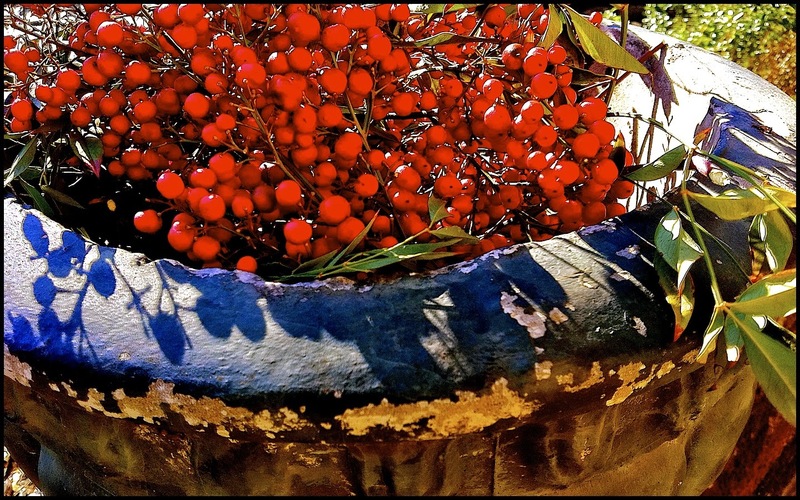 As spring arrives, I no longer care about the unseasonally-hued red berries as color jolts for the garden....so I often cut baskets and baskets of them off the shrubs and fill my urns, bowls, buckets and vases with masses of them. Quite an easy and cardinal red statement for the month of love and romance. adorning your love's gift, or sprinkle them about in pots and indoor plants. or make a minimalist, more delicate wreath form of your own with vining canes of wisteria, trumpet vine, or ivy. Just wrap the tendrils around a bucket or such, and secure the circular form with thin gauge wire to secure its shape. 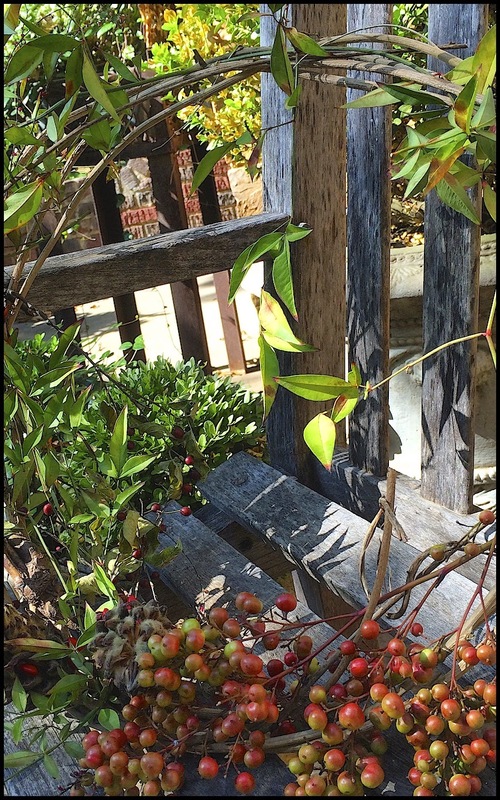 Then weave in berries and greenery, more or less to taste, and voila! 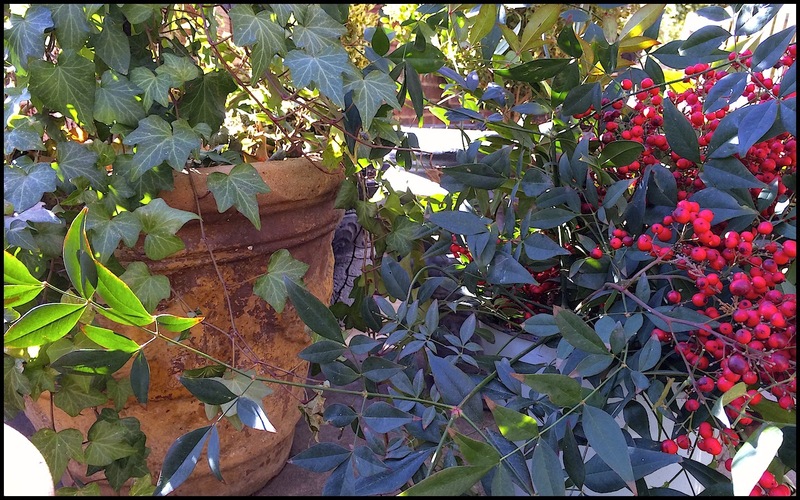 a 2015 version of a Nandina Valentine Wreath.